A selection of Reco Capey lustre ware and a stray fox! Some of you will already be aware of the name Reco Capey and his links to Royal Doulton. 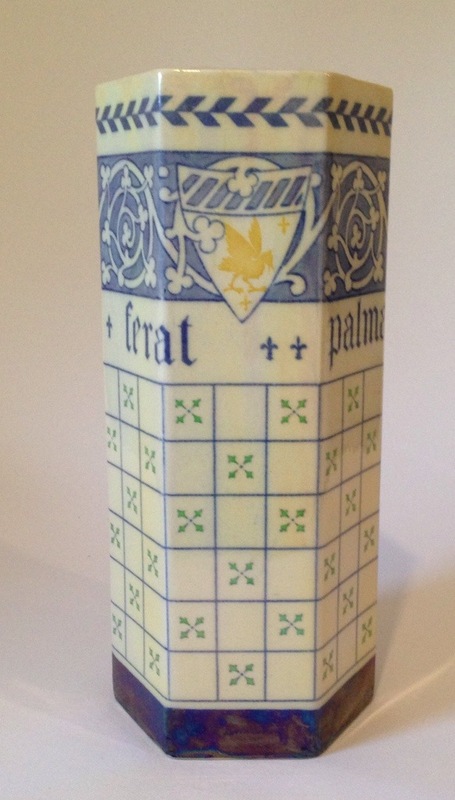 Capey it has been discovered designed prestigious flambé wares and also in the late 1930’s pieces for Lambeth too. However it is his lustre ware designs that are the focus here. It is uncertain when precisely he began his association with Doulton but the date 1914 has been mentioned. Certainly items signed by him and presumably fired at Burslem have been found. Others bearing a Doulton stamp and dating to 1915 have also been found dated around this time. 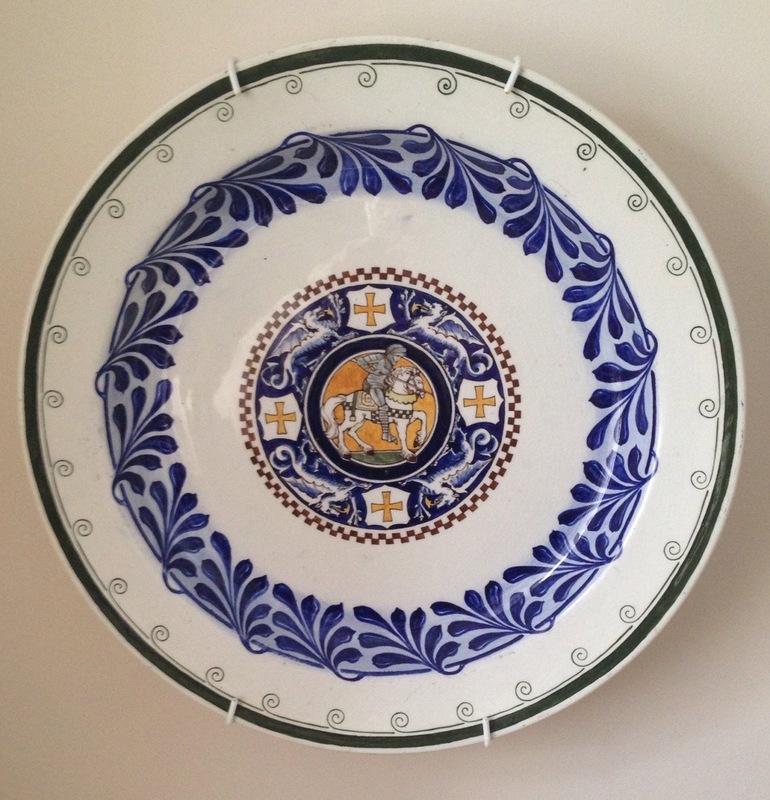 Capey’s designs certainly follow a theme with his designs echoing those of William de Morgan and also William Morris. 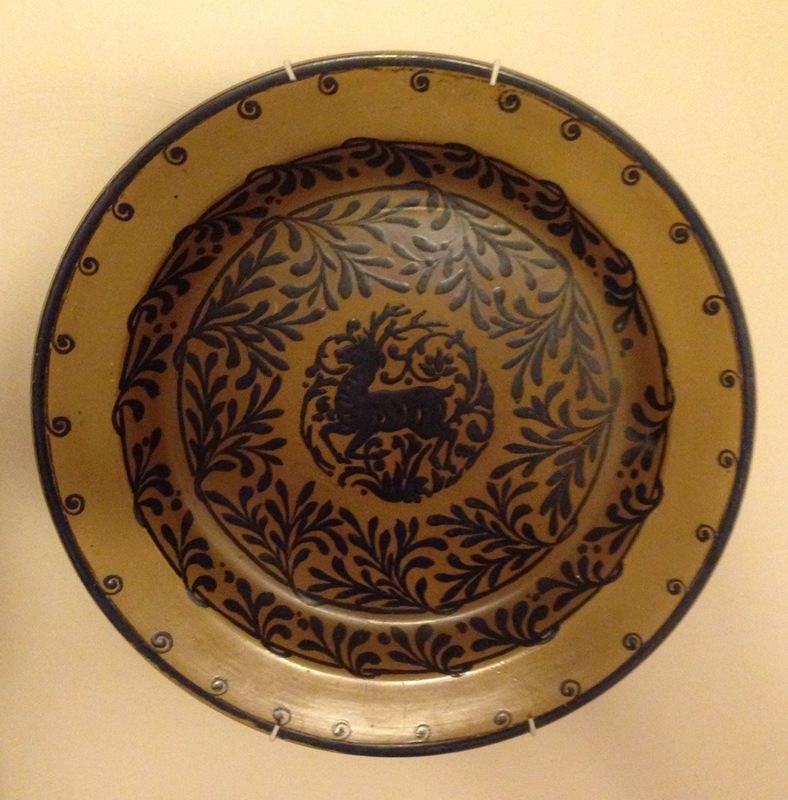 An unusual gilt version of Capey’s design of Indian runner and deer more usually found on an orange lustre background. A large charger in orange lustre with the deer design dated 1918. The mythical birds in the picture below are undoubtedly the tile design that Capey would complain to his family that he was not paid enough for. As was typical with Doulton they used their in house artists to adapt the original artists’ designs (just as happened to Frank Brangwyn). A full tea set bearing a seriesware D number 4080 introduced in 1919. This design was the only one in this colouring that I have found with a D number. 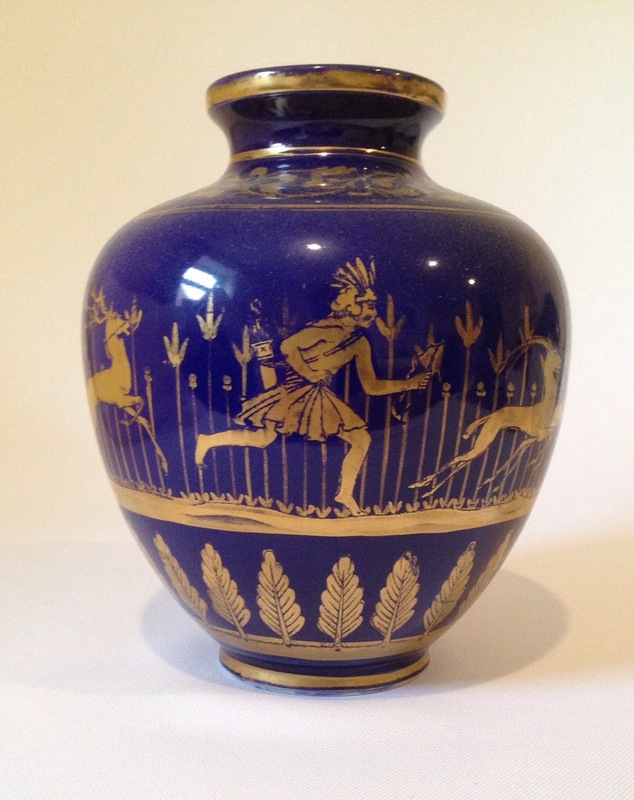 Other interesting pieces of this lustre ware include lidded jars with finials including ‘Old Nod’ and a ‘Chicken’. The actual titles of these finials are unknown. 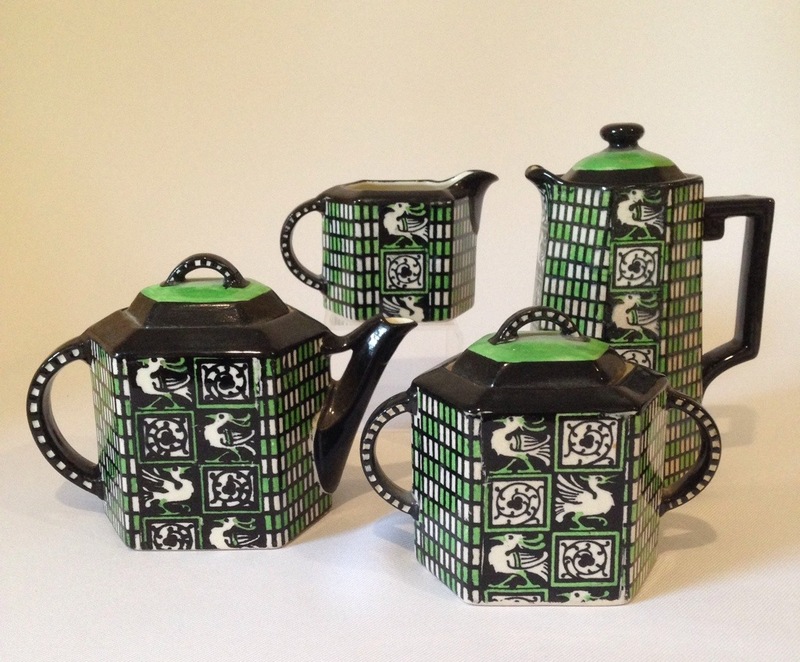 These delightful pieces of lustre ware were produced at a time when lustre ware was at its most popular and whilst designs do turn up, particularly the black, white and green designs, there are so many variations and rarities out there still to be found that will hopefully shed more light on his work and time with Doulton’s of Burslem. One last charger by Capey featuring St. George, again dated 1919 that I found in Australia.